They're closer to 1/10. Here's an old pic I took for a memeber, though those girls are taller than the short guy in this pic. I dunno how 'crap' they could really be. they (the two girls with the masks) look pretty nicely articulated in reviews I've seen. ...at this point though, we've gone considerably off-topic. It's mosty antiquated design flaws, such as thick metal removable armor, big hinges, metal parts that don't fit together, gaps in the armor due to the removable thing gimming... Coupled with the worst kind of paint, which sometimes arrive already with flaked spots. It's a 90's toy with 2000's head sculpts. Not nice when we collect 2010's stuff that's cheaper and better. Those girls are really well made, but they're exceptions to the whole line. Enough off topic, let's dance! Eyes facing front this time. Shame on the CLO tag on the wings, it kinda ruins the majesty of it all. 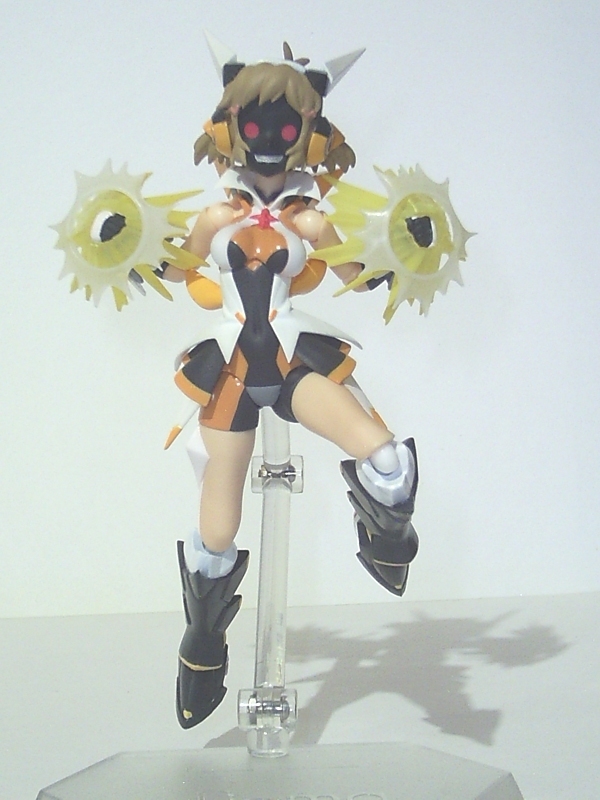 I really hope Bandai comes up with different character for the next MS Girl. Just using Yukina Schneelein is getting rather stale. Wing Zero, Stamen, Wing Zero Code Awayuki Ver. and now Wing Zero Custom. Last edited by OshareKeiji on Fri Aug 09, 2013 2:41 pm, edited 2 times in total. Yukina who? I didn't know she was a character, I thought she was an original design. Shiaoran wrote: Yukina who? I didn't know she was a character, I thought she was an original design. The name is written on the back of the regular MS Girl boxes. May have misspelled it in my prior post. Her recurring usage is part of the reason why I stopped getting the stuff after Stamen. The MS Girl artbook had way more variety in terms of character design. Yeah, I didn't even go for Stamen (not that I like that MS in the first place, it was a downgrade from the Fullburnern IMO). I'd get the Zee Zulu girl though, if she's ever released. I don't like how the monoeyes are looking more like german soldiers, but the AGP version takes care of that. But trully, I was really hoping to see several of the original MS Girls designs. Yet again Bandai proves they're too stupid for their own sake. I really hope Bandai comes up with different character for the next MS Girl. Just using Yukina Shneileen is getting rather stale. Wing Zero, Stamen, Wing Zero Code Awayuki Ver. 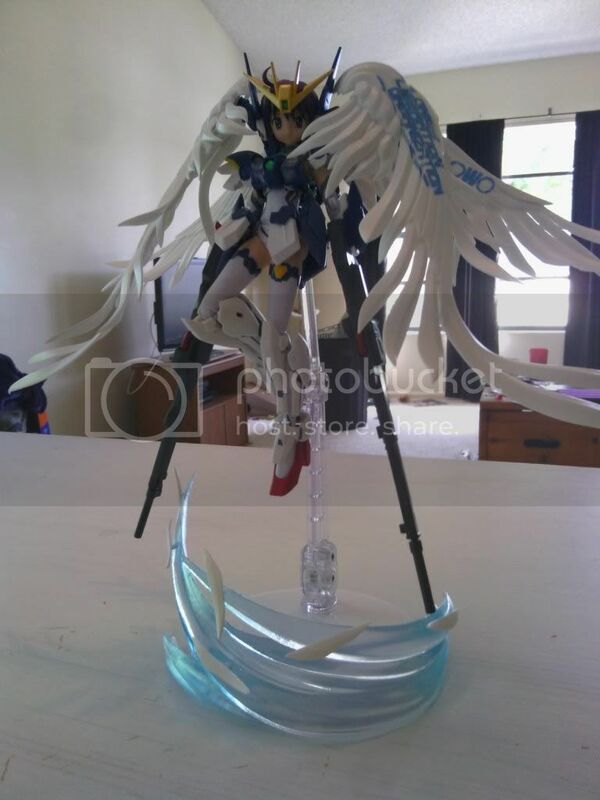 and now Wing Zero Custom. Wait, the base girl for Stamen is supposed to be Yukina? Even though they have different hair and facial features?